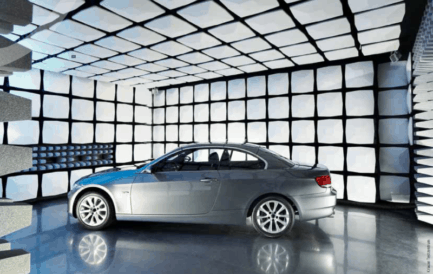 We offer proven automotive anechoic chambers for testing automotive components up to full vehicle test chambers. Use the chamber type selection menu on the right to view the different configurations. 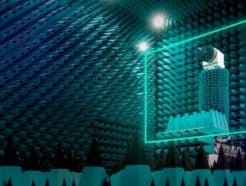 We have partnered with Albatross Projects (AP), a German ISO 9001 certified anechoic chamber manufacturing company to offer a wide selection of fully and semi-anechoic chambers around the world. 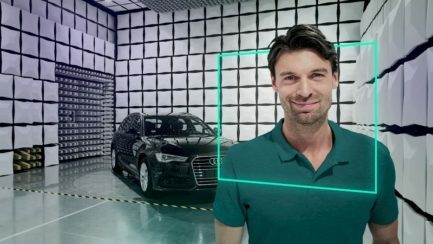 AP originated from Siemens AG who began manufacturing shielded rooms as far back as 1930. With over 10,000 rooms installed worldwide, AP have the expertise and experience to deliver the highest quality chambers wherever you are. We offer several base models to suit a wide array of testing requirements. Contact us if you have any questions or would like to discuss customization options. 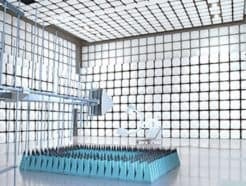 Our RF-shielded semi-anechoic chamber is ideal for fully compliant CISPR 25 testing requirements. 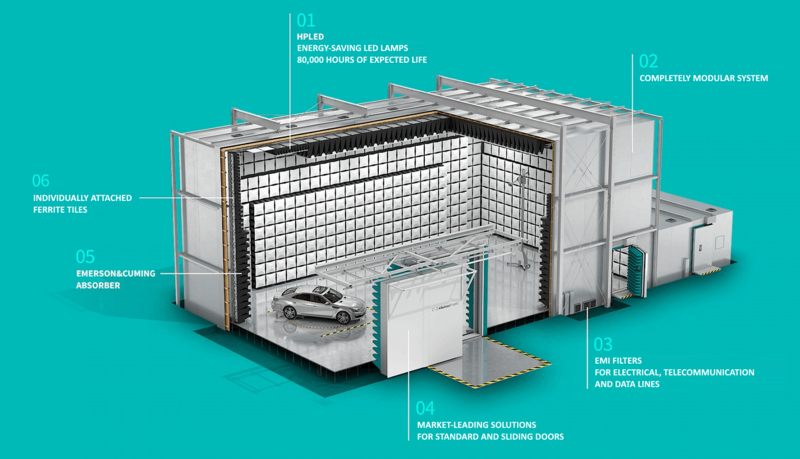 The chamber is specifically designed for CISPR 25 and ISO 11452-2 measurements of automotive components with maximum dimension up to 1-meter. Total required space includes steel structure, gate drive track and HVAC ducts. External dimensions exclude steel structure. Internal clearance is measured absorber to absorber and ground plane to absorber. 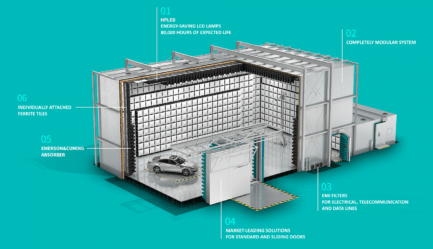 The CISPR 25 Vehicle Chamber is a larger version of the base CISPR 25 chamber and allows fully compliant vehicle level testing according to CISPR 25. The new testing methods outlined in CD 301 calls for hybrid absorber due to their strong performance in the low MHz range. Our chambers meet stringent requirements for site attenuation and the new long-wire test methods. 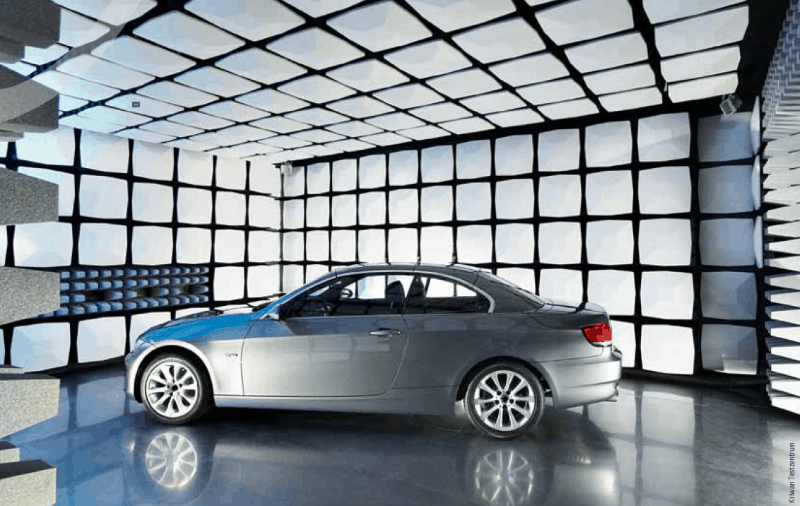 The large automotive chambers for 3 m, 5 m and 10 m test distances are classical semi-anechoic chambers (SAC), the most popular alternative test sites for EMC measurements and tests. Their structure and configuration are ideal for large and heavy EUTs and are commonly equipped with a chassis dynamometer. For all other information including baseline configuration and options, please see the full chamber brochure (link below). To discuss your requirements, please fill out the quote request form (button at the top right hand-side of this page) or contact us. 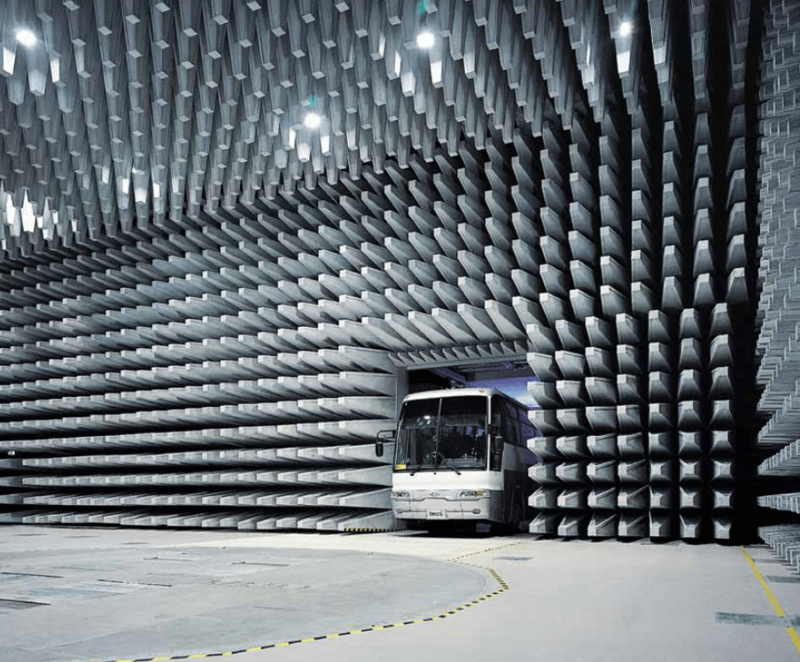 Our 10 meter semi-anechoic chamber is the gold standard in EMC testing. 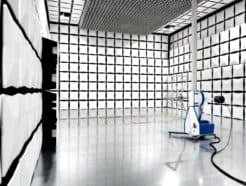 Offering the highest performance in terms of NSA, VSWR, field uniformity and shielding effectiveness, our 10m SAC is suitable for a wide range of fully-compliant commercial EMC testing applications. 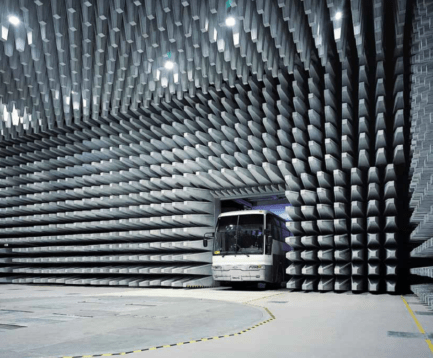 Our range of anechoic chambers for the defense/government market includes MIL-STD-461, RTCA DO-160 and Tempest equipment measurement chambers. Compact EMC chambers are economical alternatives, both in terms of cost and space when compared to full-size chambers, whilst maintaining a high degree of measurement accuracy. Radiated emissions pre-compliance testing and radiated immunity full-compliance testing options available. Suitable for commercial or research and development purposes. 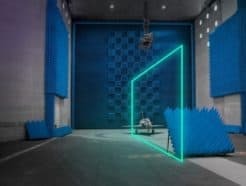 Ferrite and hybrid absorber lined anechoic chamber for EMC/EMI testing. Suitable for full-compliance measurements with 5m separation for emissions and immunity EMC testing.